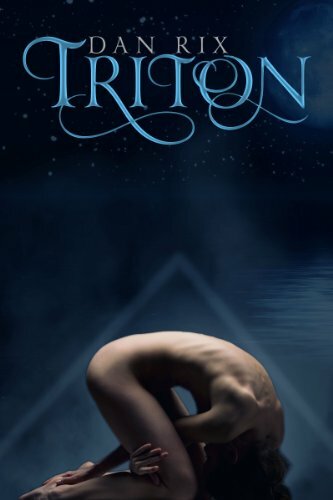 Today’s Featured Kindle Book of the Day is Triton, by Dan Rix, is regularly $2.99 but has been discounted to just 99 cents today in the Amazon Kindle store. This book has received an average user rating of 4.4 out of 5 stars based on 55 customer reviews. But now strange things are happening. Satellites are dropping out of orbit, falling from the sky. Satellites…and bigger things. They’re not as alone as they think. A message appears in an ancient language, burned into the carpet in the deck ten elevator lobby. It’s a warning. A monster lurks onboard, hunting them. What they’ve long suspected appears certain: the vanishing…it was an attack. Click here or type in http://smarturl.it/triton into your web browser to pick up your copy of Triton. You can visit Dan’s Amazon author page if you click here or type in http://smarturl.it/danrix into your web browser. The following is a revision of a post I last posted about in October 2013. The number of people reading this blog has grown since then (and I hope some of that is attributable to folks thinking there is some value to the blog), and I thought it appropriate to repeat it: I was reminded of this post as I’ve got another big jar of coins I gathered at home while doing some much-needed cleaning of the closets! If you are reading this post on the blog’s website or Facebook page, I would appreciate a “Like” or “Share” so your friends and family can be notified of this tip, also! While I do read a lot of the free books I talk about here in the blog I still enjoy certain authors and will purchase a lot of books. Some of them are inexpensive offerings from independent authors and some are from your mainstream “big name” authors, and I don’t care what the price is – I’ve gottagetitnow. Well, I do care what the price is but I may just wait until it gets below $10 unless it’s a new one by Harlan Coben. I’m sure there are offerings by favorite authors you want to buy, too. Most of you have seen the change conversion machines in grocery and other stores, and a lot of you have used them: you take in your coffee can of loose change, dump it in the hopper, the machine counts it and then spits out a receipt you take to the cash register to redeem for paper currency or a credit in the store. The one main drawback to these machines, to me, is a lot of them take an 8% or more commission / cut of whatever you brought in as their profit. For example, at an 8% commission rate you would need to bring in $10.87 worth of change to receive a $10 bill. Some people will say “so what” and accept that as a cost of doing business vs. rolling the money yourself and either turning it in to a bank (if they accept the change these days – my local branch of Bank of America does not) or taking it to a convenience store who needs it and having everyone behind you steam as you and the convenience store clerk count out a bagful of pennies. If you were following along and did the math to see what the effective annual interest rate is on my $10.87 example above, great. If you didn’t, I’ve performed the calculation for you: assuming the vendor collects the change from the machine every three days and takes it to their bank, that 8% rate for a three day holding period converts to a whopping 266.7% annual interest rate. The grocery store usually splits the fee earned 50-50 with the owner of the equipment, but even if the grocery store is providing a three day loan to the equipment maker until they are reimbursed, that is one heck of a money maker (why didn’t I think of that?)! Using my earlier example, if you brought in $10.87 worth of change and selected the Amazon gift card option, you would get a $10.87 Amazon gift card as your receipt. You would then enter the gift card details on your Amazon account on your computer (or Kindle, if the wireless feature is on with the browser pointed to the Amazon website). You can then use those funds now applied to your account and buy not only Kindle books but anything else on the Amazon website. Coinstar has partnered with other companies in addition to Amazon to offer gift cards with no fee to you – you turn in $10.87 worth of coins, you get a $10.87 gift card to the Amazon store or to the other store(s) participating in the program. While Coinstar is one of the largest providers of this equipment to stores in the USA, they are not the only one so don’t assume your local grocery store is a Coinstar machine. To find a Coinstar machine, you can point your web browser to http://www.coinstar.com and do two things from this page: (1) enter your zip code in the top right-hand corner to find a Coinstar machine near you, and (2) see a list of companies that have signed up for the gift card promotion by clicking “details” under the name of the store / retail location. When I just did the same for a location near me, in addition to an Amazon gift card my selections were to Sears, JC Penney, Lowes, iTunes, Starbucks, Southwest Airlines, The Home Depot and a few others. You can also donate the change to seven different charities vs. taking a gift card, and the charity will receive 100% of the proceeds. My old quart-sized Mason Jar I use to hold my change is almost full of silver coins, so it’s off to the Coinstar machine! 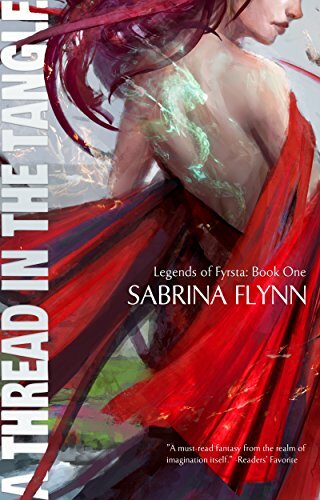 A Thread in the Tangle, by Sabrina Flynn, is regularly $2.99 but has been discounted to just 99 cents today in the Amazon Kindle store. This book has received an average user rating of 4.5 out of 5 stars based on 57 customer reviews. Click here or type in http://smarturl.it/jaqfqf into your web browser to pick up your copy of A Thread in the Tangle. Cracks in the Sidewalk, by Bette Lee Crosby, is regularly $4.99 but has been discounted to just 99 cents today in the Amazon Kindle store. This book has received an average user rating of 4.4 out of 5 stars based on 243 customer reviews. From the Bestselling Author of Spare Change, comes a powerful story that is a heart-wrenching reminder of how fragile relationships can be. Cracks in the Sidewalk is based on a true story and brought to light through extensive interviews with the Grandparents..
Claire McDermott’s grandchildren are missing… After years of writing letters, hoping to find the children and bring them back, she receives a reply…a dog-eared gray envelope stuffed in her mailbox, but will it bring hope or simply put an end to the waiting? 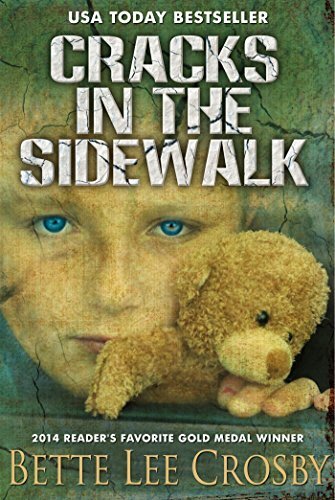 If you enjoy reading Jodi Picault, you will love Cracks in the Sidewalk! Click here or type in http://smarturl.it/cracks into your web browser to pick up your copy of Cracks in the Sidewalk. 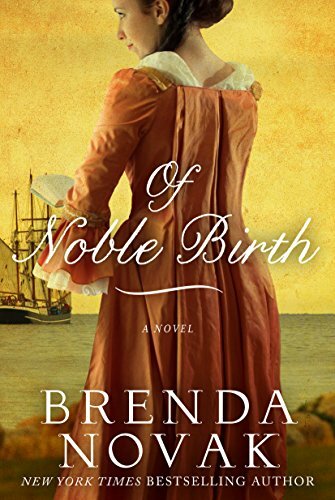 Of Noble Birth, by Brenda Novak, is regularly $3.99 but has been discounted to just $2.00 today in the Amazon Kindle store. This book has received an average user rating of 4.1 out of 5 stars based on 121 customer reviews. Furious at his aristocratic father for abandoning him as an infant, Nathaniel Kent spends his days exacting revenge…in a most lucrative way. The handsome, blue-eyed pirate captain attacks his father’s boats, plundering their cargo and reaping the rewards. When Nathaniel takes a lovely seamstress as his hostage, mistaking her for his spoiled and wealthy half sister, he feels elated over his clever capture. But his sense of triumph disappears as he slowly becomes tormented by his rising passion for the spirited young woman. After years of abuse from her violent stepfather, seamstress Alexandra Cogsworth finally planned her escape. But she never intended to wind up as a hostage on a pirate ship. Determined to ensure her safe passage on the Royal Vengeance, she keeps her true identity secret, playing the part of Nathaniel’s blood relation. But as her desire for the charismatic yet dangerous Nathaniel grows, the rising current of their mutual longing could sweep them both away…forever. Click here or type in http://smarturl.it/noblebirth into your web browser to pick up your copy of Of Noble Birth. 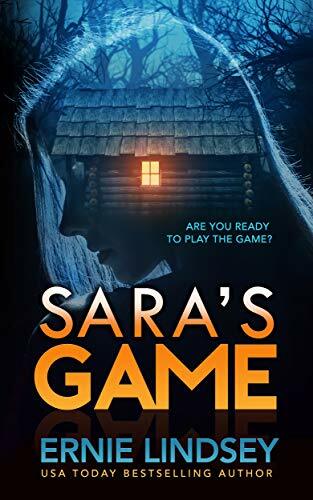 Sara’s Game, by Ernie Lindsey, is free today in the Amazon Kindle store, and this book has received an average user rating of 4.2 out of 5 stars based on 538 customer reviews. Click here to pick up your copy of Sara’s Game. Kicking Eternity, by Ann Lee Miller, is regularly $2.99 but has been discounted to just 99 cents today in the Amazon Kindle store. This book has received an average user rating of 4.3 out of 5 stars based on 195 customer reviews. Click here or type in http://smarturl.it/kickingeternity into your web browser to pick up your copy of Kicking Eternity. 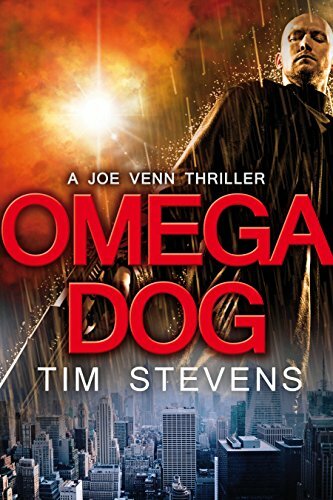 Omega Dog, by Tim Stevens, is regularly $3.99 but has been discounted to just 99 cents today in the Amazon Kindle store. This book has received an average user rating of 4.3 out of 5 stars based on 116 customer reviews. MEET JOE VENN. THE OMEGA DOG. Joe Venn is down on his luck. A Marine and police detective lieutenant, he was kicked off the Chicago force for getting a little heavy-handed while cleaning up the streets. Now he’s eking out a living as a private eye in downtown Manhattan, on a road to nowhere. When Venn is arrested for a murder he didn’t commit, he’s given a choice. Track down a missing professor of neurochemistry, in an operation that’s so politically sensitive even the FBI can’t be allowed to touch it. Or face life in prison. Dr Beth Colby is having a bad day, too. She’s used to dealing with death, in her job as a physician at one of New York City’s busiest hospitals. But two people she knows have just died mysteriously in the space of twenty-four hours. And before the day’s out, Beth herself will become the target of a shocking attack. Events conspire violently to throw Venn and Beth together, and soon they’re locked into a desperate race against time to uncover the secret of Professor Lomax’s disappearance. What’s the connection with the research he’s conducting into groundbreaking neuromodulatory drugs? And why are Venn and Beth being hunted by not one but two professional assassins – as well as by the most powerful organized crime family in New York? As the chase spreads from Manhattan to New England and back again, and the net closes relentlessly in on Venn and Beth, each of them must use their unique set of skills to the maximum. Not just to uncover the terrible secret so many people are desperate to keep hidden. Relentless in its action, terrifying in its suspense, and riddled with twist upon shocking twist, OMEGA DOG is a heartstopping rollercoaster ride that will thrill and chill you in equal measure. Click here or type in http://smarturl.it/1v0eid into your web browser to pick up your copy of Omega Dog. Kidnapped Cowboy, by Lindsey Brookes, is just $2.99 today in the Amazon Kindle store. This book has received an average user rating of 4.4 out of 5 stars based on 224 customer reviews. Click here or type in http://smarturl.it/vyxx3g into your web browser to pick up your copy of Kidnapped Cowboy. 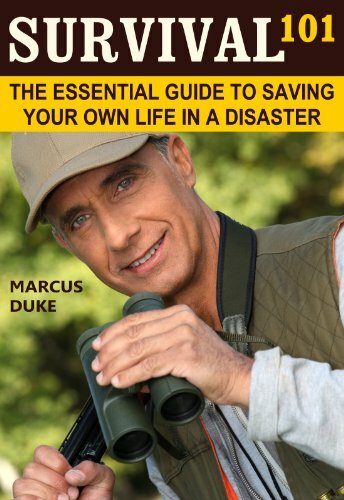 Survival 101: The Essential Guide to Saving Your Own Life in a Disaster, by Marcus Duke, is free today in the Amazon Kindle store, and this book has received an average user rating of 4 out of 5 stars based on 43 customer reviews. “Survival 101: The Essential Guide to Saving Your Own Life in a Disaster” is a must-have introductory guide that acquaints the reader with essential survival techniques and tactics. Knowing what to do in the event of an emergency will keep you and everyone else calm. Panic is dangerous and counterproductive. You must be organized, take an appropriate leadership role, and make sure everyone has duties assigned to them. This book won’t turn you into an overnight soldier of fortune, but you’ll definitely find some extremely useful tidbits on starting a fire, surviving on limited water rations, building a basic stockpile of supplies, dealing with medical issues in a crisis situation and much more! Click here to pick up your copy of Survival 101: The Essential Guide to Saving Your Own Life in a Disaster. 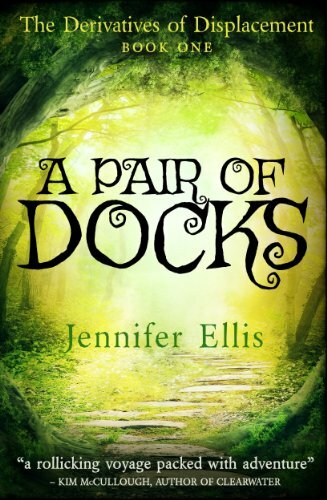 A Pair of Docks, by Jennifer Ellis, is free today in the Amazon Kindle store, and this book has received an average user rating of 4.6 out of 5 stars based 14 customer reviews. What if you could see your future? Unfortunately, they’re not the only ones who know about the stones, and they soon realize their lives are in danger from a man known only as Mantis. Abbey, Caleb, and Simon must follow a twisting trail of clues that will lead them from their neighbor with Asperger’s to a strange professor who claims to know the rules of the stones, and to multiple futures—some of whose inhabitants don’t want to stay put. A Pair of Docks is an action-adventure for kids and adults that explores Einstein’s Theory of Relativity, parallel universes, time travel and the boundary between science and magic. It is the first novel in the Derivatives of Displacement series. Lovers of fantasy and science fiction will find plenty to like in A Pair of Docks. Click here to pick up your copy of A Pair of Docks. 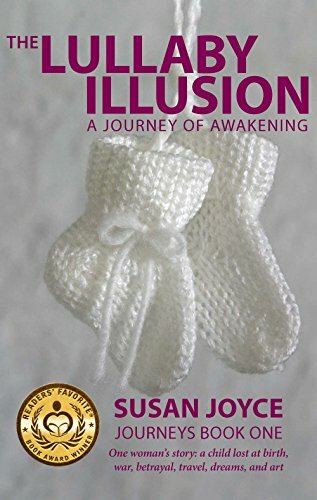 Today’s Featured Kindle Book of the Day is The Lullaby Illusion: A Journey of Awakening, by Susan Joyce, is regularly $3.99 but has been discounted to just 99 cents today in the Amazon Kindle store. This book has received an average user rating of 5 out of 5 stars based on 35 customer reviews. Click here or type in http://smarturl.it/83014 into your web browser to pick up your copy of The Lullaby Illusion: A Journey of Awakening. You can visit Susan’s Amazon author page if you click here or type in http://smarturl.it/susanjoyce into your web browser. Here’s your next group of free and discounted Kindle book offers in a variety of genres for Saturday: for those books listed as being free or discounted in this post – while the pricing of the free and discounted status is valid at the time of this posting, please make sure you check the pricing carefully before you press the “buy” button as it could revert back to its normal status at any time! 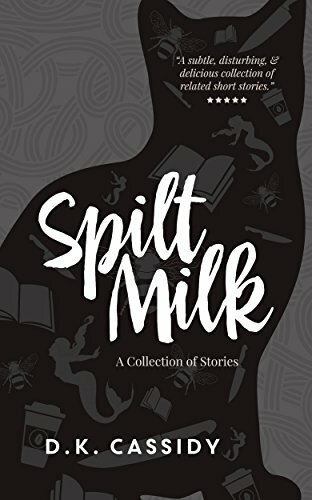 Spilt Milk: A Collection of Stories, by D.K. 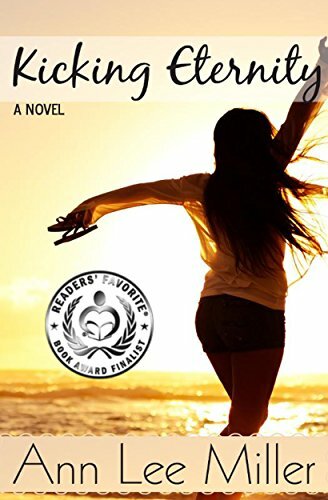 Cassidy, is regularly $2.99 but has been discounted to just 99 cents today in the Amazon Kindle store. This book has received an average user rating of 5 out of 5 stars based on 33 customer reviews. Welcome to urban Gothic stories that are droll, horrific, and thought provoking. 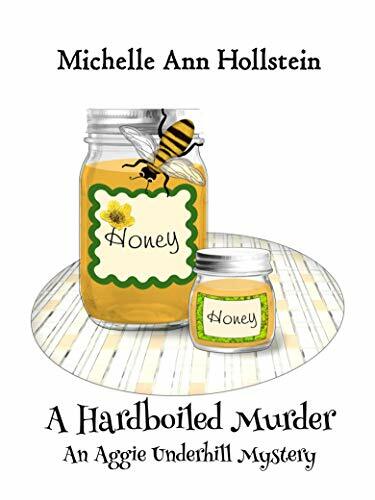 A Hardboiled Murder: An Aggie Underhill Mystery, by Michelle Ann Hollstein, is regularly $3.99 but has been discounted to just 99 cents today in the Amazon Kindle store. This book has received an average user rating of 4 out of 5 stars based on 152 customer reviews. The body of a film star crashes upon the roof of a moving tramcar, a mystery author is discovered hardboiled and bobbing in a hot tub, a home is ransacked, and two grandmothers are battling. With bleached blonde hair, an English accent, a brand spanking new red-hot turbo machine, and an oversized pocketbook to match every outfit, Aggie’s sure to stick her nose into everyone’s business. But is Aggie over her head when the clues she unearths hit a little too close to home? Join Aggie in another fun-filled Palm Springs mystery. Who knew the desert could be so much fun? Click here or type in http://smarturl.it/js7qey into your web browser to pick up your copy of A Hardboiled Murder, An Aggie Underhill Mystery. 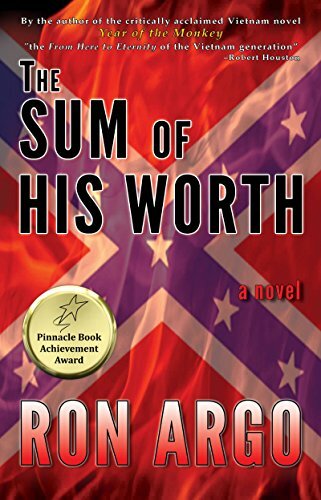 The Sum of His Worth, by Ron Argo, is regularly $3.99 but has been discounted to just $1.99 today in the Amazon Kindle store. This book has received an average user rating of 4.8 out of 5 stars based on 20 customer reviews. This Southern gothic novel takes us into the heart of the tumultuous 1960s in an Alabama town embedded in the old South tradition where Jim Crow is the law of the land. Here, the KKK is judge, jury and executioner. Sonny Poe is a defiant, white sixteen-year-old who’s generally heedless to the suppressive dominance of blacks—until he witnesses a Klan lynching in the midnight woods. Then everything in his life changes. Sonny takes up with a progressive doctor who’s determined to help local blacks fight against the savage oppression that’s haunted their town for generations. The headstrong teenager commits himself to “Doctor Joe” and his cause even as both of them suffer betrayals, beatings, arrest and finally exile in a story that can only end in tragedy. This edgy thriller pulsates with violence, love, betrayal and humor on a narrative rushing us through the forebodingness of one of America’s most pressing historical moments toward its shocking climax. The Civil Rights Movement forms the backbone of The Sum of His Worth, but its strength comes from the voice of its young narrator and its strongest theme lies in the caveats of moral reckoning in a “free” society. Click here or type in http://smarturl.it/rivmj0 into your web browser to pick up your copy of The Sum of His Worth. 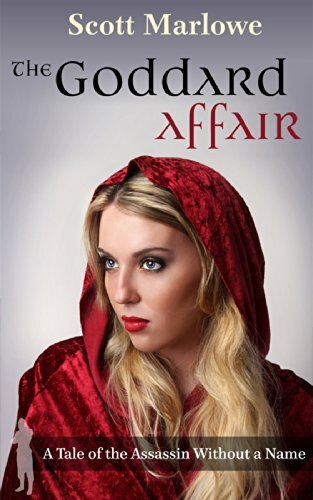 A Sealed Fate, by Lisa Gordon, is regularly $4.66 but has been discounted to just 99 cents today in the Amazon Kindle store. This book has received an average user rating of 4.1 out of 5 stars based on 22 customer reviews. A chain of tragic deaths across Dubai spanning two decades, only Valda knows they were not accidents, but murders. Her name is next on that list. Spunky singer Valda ditches her old life in Cape Town for a new start in glittering Dubai. Armed with just her cigarettes and some attitude she sets about reigniting her career and putting to bed the heartache over her former boyfriend Richard. Valda does indeed find success and to her astonishment love, but all is threatened when she is introduced to a billionaire Sheikh. 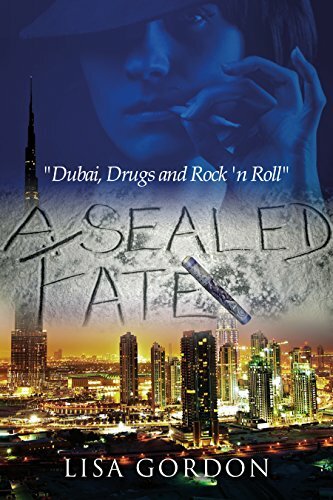 Her clandestine liaison with the Sheikh, propels her into a murky web of deceit and when newspaper clippings of seemingly accidental deaths across Dubai are posted anonymously to her it is clear she is rushing headlong into the same fate. No one dare cross the Sheikh and she can hardly hardly turn to the law, so with few options open she confides in Larissa. As an astrologer, Larissa predicts that Valda and the Sheikh’s destinies were sealed from the moment of their first meeting; however she keeps the dire fate that she reads in the charts a secret. Lara resolves to help Valda flee Dubai and the ever tightening grip of the Sheikh; but should Valda be putting all her faith in her new friend and guru of the grimoires. Together, Valda and Larissa take a gamble in a game of cosmic Russian Roulette where the stakes are their lives and their adversary, Fate itself. A thoroughly modern cocktail of intrigue, passion and suspense set against the exotic locales of Cape Town and Dubai with an eclectic mix of characters, a perfect beverage if you like a tangy lemon peel in your drink as this one has a twist at the end too, but you’ll have to read it to discover it. Click here or type in http://smarturl.it/asealedfate into your web browser to pick up your copy of A Sealed Fate. The Lost Heir, by E.G. Foley, is free today in the Amazon Kindle store, and this book has received an average user rating of 4.6 out of 5 stars based on 80 customer reviews. NY Times & USA Today bestselling author E.G. Foley presents The Gryphon Chronicles, a new series of historical fantasy adventures that’s as much fun for grownups as it is for kids! 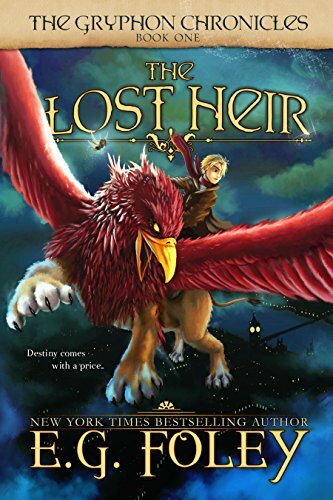 Click here to pick up your copy of The Lost Heir. 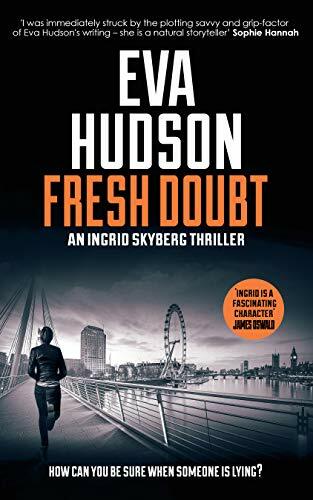 Fresh Doubt, by Eva Hudson, is free today in the Amazon Kindle store, and this book has received an average user rating of 4 out of 5 stars based 120 customer reviews. Brilliant American psychology student Madison Faber is in police custody – a potential murder suspect. Two hours ago she found her roommate lying in a pool of blood. Special Agent Ingrid Skyberg is assigned to investigate the case on behalf of the US embassy. Tasked with supporting a terrified Madison Faber and uncovering the truth behind her friend’s death, Ingrid quickly discovers a sinister extremist group operating out of Faber’s London college. Up against the obstructive attitude of the Metropolitan Police and defying the wishes of the embassy, Ingrid must navigate through a minefield of fear and mistrust to discover the killer’s true identity. But in order to ensure justice is served, she is forced to operate so far beyond the law that she may never get back again. Click here to pick up your copy of Fresh Doubt. Here’s your first group of free and discounted Kindle book offers in a variety of genres as we start the long Labor Day weekend: for those books listed as being free or discounted in this post – while the pricing of the free and discounted status is valid at the time of this posting, please make sure you check the pricing carefully before you press the “buy” button as it could revert back to its normal status at any time! 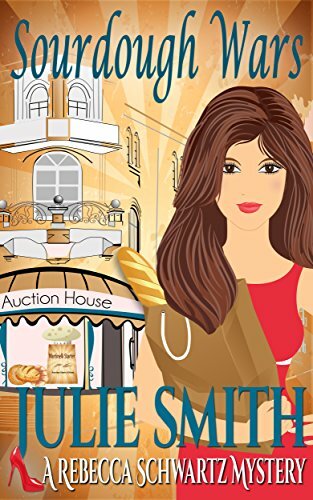 Sourdough Wars, by Julie Smith, is regularly $2.99 but has been discounted to just 99 cents today in the Amazon Kindle store. This book has received an average user rating of 4 out of 5 stars based on 222 customer reviews. The SECOND book in Edgar-winning author Julie Smith’s Rebecca Schwartz series. A tasty treat of a San Francisco mystery—a crisp, tangy story you’re sure to get a rise out of. Enter lawyer sleuth Rebecca Schwartz, whose client is her own partner, glamorous Chris Nicholson, Martinelli’s main squeeze before the ill-starred auction. Click here or type in http://smarturl.it/o8e6kk into your web browser to pick up your copy of Sourdough Wars. How To Find A Job: When There Are No Jobs: A Necessary Job Search and Career Planning Guide for Today’s Job Market, by Paul Rega, is regularly $6.99 but has been discounted to just 99 cents today in the Amazon Kindle store. This book has received an average user rating of 4.1 out of 5 stars based on 100 customer reviews. DOWNLOAD THIS BESTSELLING CAREER BOOK by Paul Rega, nationally recognized Executive Recruiter, with over thirty years of job hunting and career planning experience. The book rocketed to #1 in Job Hunting, Careers, and Resumes and was ranked in the Top 10 overall on Amazon at #9. This is a must read for anyone who is looking for a new job or wants to change careers in the worst economy since the Great Depression. Paul Rega is president of a retained executive search firm he founded in 1985. His provocative new book strikes a nerve with millions of displaced workers and goes well beyond the principles of job hunting. He introduces a revolutionary new concept in career management and personal development called Intuitive Personal Assessment (IPA). Paul takes his readers on a powerful journey as he tells a gripping story about his own career and the unique challenges he’s faced as an executive recruiter. The author shares his vast knowledge of career planning and the inner workings of the job search process, citing hundreds of proven and effective job search techniques. He explains how to market your background to a targeted audience, interviewing skills and techniques, network building strategies, how to utilize personal and business contacts, effective use of social media, including LinkedIn, Facebook and Twitter, insider tips on working with recruiters, salary and benefits negotiation, how to write a resume, cover and follow-up letters, how to start and succeed in your own business and much more. Despite the many challenges faced by those suffering as a result of the weak job market, Paul believes that change in one’s life can be positive. He explains that, “Change throughout your life is inevitable, and as your life changes so often does your career.” His book is an effective guide that will provide you with the necessary tools, skills and inside knowledge from a professional recruiter to help you navigate through difficult economic times and find a new job or change careers. 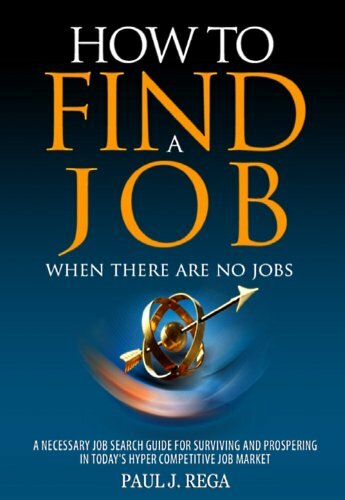 Click here or type in http://smarturl.it/findajob into your web browser to pick up your copy of How To Find A Job: When There Are No Jobs: A Necessary Job Search and Career Planning Guide for Today’s Job Market. 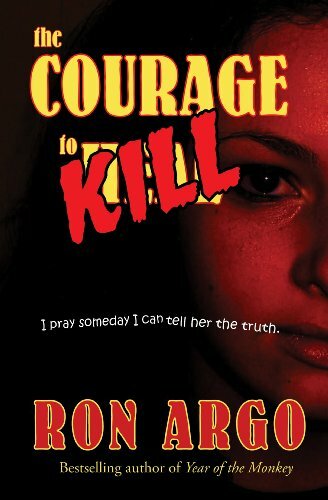 The Courage to Kill, by Ron Argo, is regularly $3.99 but has been discounted to just $1.99 today in the Amazon Kindle store. This book has received an average user rating of 4.4 out of 5 stars based on 18 customer reviews. The young UC graduate went to her father’s beachside condo the night he was murdered, but she doesn’t remember shooting him. Janice Parrish had plenty reason to hate her father after recalling the excruiating memories of sexual abuse as a child some 20 years ago. But even as she’s booked on murder charges, she knows there was someone else at his house that night. So begins Janice’s dark journey through a tortuous psychological wasteland of false memory and real murder. San Diego crime reporter Ray “Magic” Myers digs up evidence that turns the story into a media event even as he steps out of his role of unbiased coverage and tries to help Janice. In doing so, both he and Janice become targets of a psychopath on a grisly pursuit of revenge. 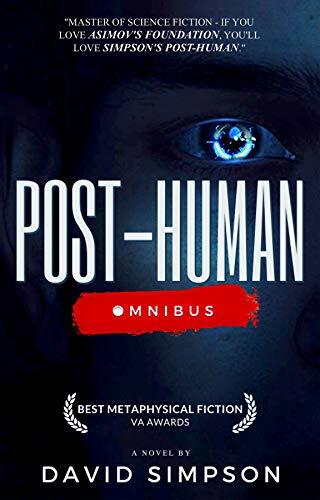 Post-Human Series Books 1-4, by David Simpson, is free today in the Amazon Kindle store, and this book has received an average user rating of 4.5 out of 5 stars based on 514 customer reviews. David Simpson’s Post-Human Series has been downloaded over 350,000 times in the last two years, delighting readers with an action-packed series filled to the brim with nanobots, A.I., androids, post-humans, evil cyborgs, and a cast of likeable characters that you won’t be able to resist. All that and it’s thought-provoking and philosophical too! Ready to get hooked? Then download the series here and experience it for yourself! Click here to pick up your copy of Post-Human Series Books 1-4. 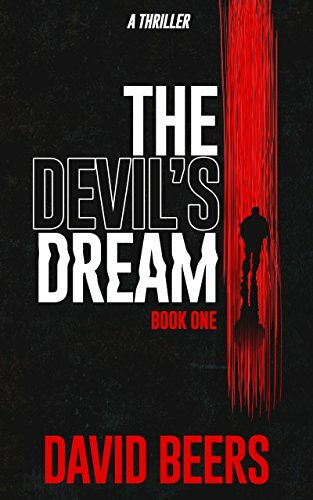 The Devil’s Dream: Book One, by David Beers, is free today in the Amazon Kindle store, and this book has received an average user rating of 4.7 out of 5 stars based 32 customer reviews. Matthew Brand’s intellect pushed the world into new eras of knowledge. He spent the first thirty years of his life stretching humanity’s capacity for understanding and learning. By all accounts, his future looked even brighter than his past. And then, police officers mistook his son for a criminal, gunning him down in the middle of the street. When the court let all four officers off without punishment, Brand changed his life’s work. He forgot about bettering the Earth, instead deciding to use his talents to bring his son back from the dead. Eventually, his mind conquered even death’s mysteries–now, Brand needs living bodies to resurrect his son. So why not the bodies of the cops that murdered him? In the most chilling FBI manhunt ever, they must catch a killer who can calculate all the odds and stack them in his favor. Click here to pick up your copy of The Devil’s Dream, Book One. The Goddard Affair, by Scott Marlowe, is regularly $2.99 but has been discounted to just 99 cents today in the Amazon Kindle store. The Assassin Without a Name is on the hunt, looking for the secret organizations which recently tried to kill him before they can try again. But the work of his trade doesn’t stop just because of personal business, so when a new client named Walter Goddard comes around wishing to have a rival eliminated, the Assassin Without a Name takes the job. Only after the task is complete does he learn that Walter Goddard is a member of the Society for the Progression of Science and Technology, one of the very same organizations he’s been seeking. At one of the society’s premiere technology galas, the Assassin Without a Name meets Gwendolyn Morgan, a beautiful widow who has run into problems of her own with the society. Not only does she believe the organization hired an assassin to murder her husband, but she’s certain she’s next. Convincing himself he’s only helping Gwendolyn in exchange for the society’s darkest secrets and not because of his part in making the woman into a widow, the Assassin Without a Name finds himself in the unusual role of protector as the society dispatches their Black Guard watchdogs to kill them both. Click here or type in http://smarturl.it/oakbc6 into your web browser to pick up your copy of The Goddard Affair. 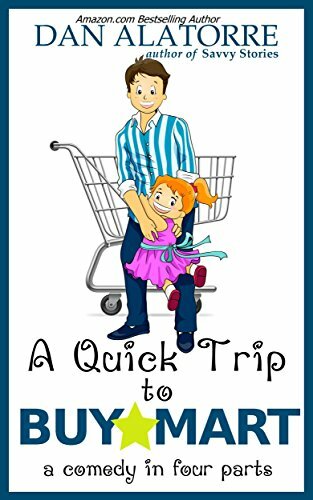 A Quick Trip To Buymart, by Dan Alatorre, is regularly $4.99 but has been discounted to just 99 cents today in the Amazon Kindle store. Bestselling author and humorist Dan Alatorre takes us on a trip that will have any parent laughing out loud! Dan shows us the hilarious side of the challenges of parenting, as the father of a young girl is suddenly tasked with getting her a leotard before her first gymnastics class. What happens next is an endearing journey of comedy that we’ve all been through: the challenge of shopping quickly combined with the fun and magic of childhood. Moms and dads alike will laugh along with the characters in this epic journey because There’s no Such Thing As A Quick Trip To BuyMart! You will smile and laugh – and maybe cry – at the joys of childhood and the fun of seeing the world through a child’s eyes. Buy this book and fall in love with you own kids all over again! Click here or type in http://smarturl.it/jlvxhf into your web browser to pick up your copy of A Quick Trip To Buymart. 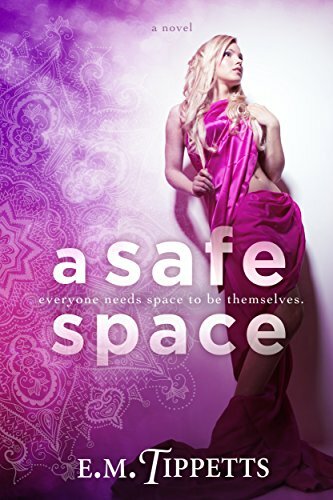 A Safe Space, by E.M. Tippetts, is regularly $2.99 but has been discounted to just 99 cents today in the Amazon Kindle store. For Lizzie Warner, that space has always been in front of the camera on her hit show, or on stage before a sold out concert arena. Since before she can remember, she’s been a star, but that may be about to change. Then there’s Devon, the personal trainer at her gym. Arrogant and abrasive, he’s the last guy she should ever find attractive, but she has a hopeless crush on him anyway, and he doesn’t seem entirely disinterested either. In fact, sometimes he’s downright sweet to her. If only he weren’t an untamable bad boy who uses and dumps women like they’re nothing. Though Lizzie’s friends warn her to stay away, he’s the only person who can create what she needs: a safe space. But is there any way she can break him of his years’ long habit of being a user? Click here or type in http://smarturl.it/asafespace into your web browser to pick up your copy of A Safe Space. 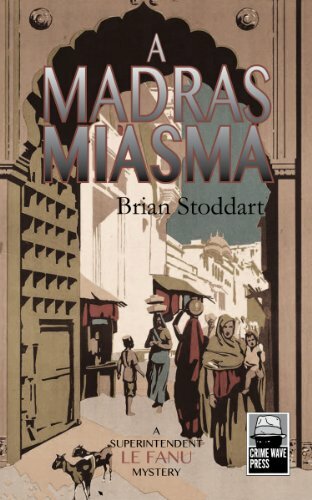 A Madras Miasma, by Brian Stoddart, is regularly $6.99 but has been discounted to just 99 cents today in the Amazon Kindle store. Madras in the 1920s. The British are slowly losing the grip on the subcontinent. The end of the colonial enterprise is in sight and the city on India’s east coast is teeming with intrigue. A grisly murder takes place against the backdrop of political tension and Superintendent Le Fanu, a man of impeccable investigative methods, is called in to find out who killed a respectable young British girl and dumped her in a canal, her veins clogged with morphine. As Le Fanu, a man forced to keep his own personal relationship a secret for fear of scandal in the face British moral standards, begins to investigate, he quickly slips into a quagmire of Raj politics, rebellion and nefarious criminal activities that threaten not just to bury his case but the fearless detective himself. The first Detective Le Fanu Adventure, A Madras Miasma, tells a classic tale of murder, corruption and intrigue with a sharp eye on British colonial politics and race relations. It is a story that, like its main protagonist, has its heart firmly in the right place. Click here or type in http://smarturl.it/p66vx9 into your web browser to pick up your copy of A Madras Miasma. Heirs of Alexandria, by Thomas K. Carpenter, is regularly $4.99 but has been discounted to just 99 cents today in the Amazon Kindle store. 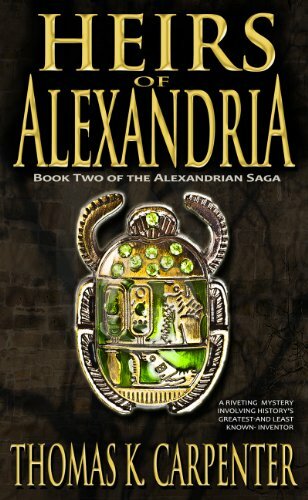 Click here or type in http://smarturl.it/j603qa into your web browser to pick up your copy of Heirs of Alexandria. Living Apart Together, by Anne L. Watson, is regularly $3.99 but has been discounted to just 99 cents today in the Amazon Kindle store. You hear many reasons why marriages and long-term relationships break up, but there’s one that’s seldom acknowledged: Many committed couples would get along better if only they weren’t roommates. But what can they do? They have to share a home, don’t they? What if they chose to defy expectations — their own and everyone else’s? What if they decided to live in separate apartments or houses, nearby or even side-by-side? Wouldn’t they avoid many tensions that typically drag couples down? Wouldn’t they gain richer and happier times together? Anne L. Watson and her partner have lived this kind of life successfully for nearly two decades. In this groundbreaking book, she draws on personal experience to reveal the benefits of such an arrangement and tell how you might make it work for yourself. In the end, Anne helps you understand that not all couples need a common residence to live happily ever after. 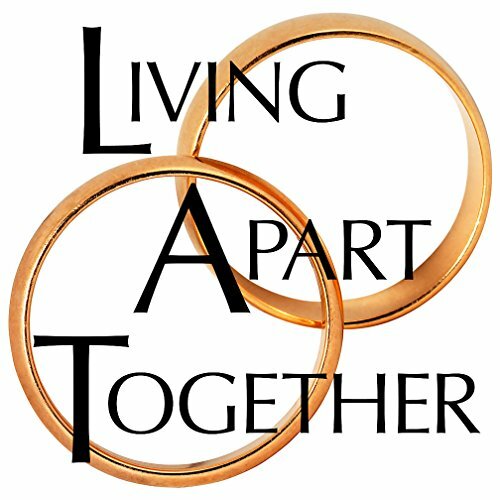 Click here or type in http://smarturl.it/haq97k into your web browser to pick up your copy of Living Apart Together. 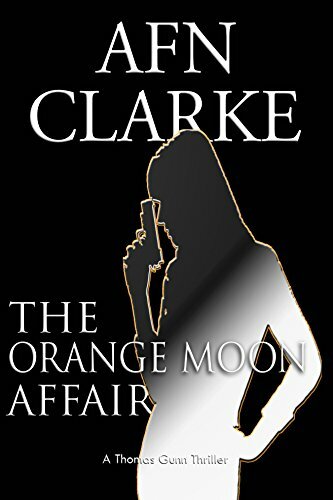 Today’s Featured Kindle Book of the Day is The Orange Moon Affair, by AFN Clarke, is regularly $4.99 but has been discounted to just 99 cents today in the Amazon Kindle store. This book has received an average user rating of 4.6 out of 5 stars based on 52 customer reviews. Thomas Gunn (former Special Forces) and his partner Julie are running for their lives. Who are they running from? And why? It all starts when Thomas decides to investigate the mysterious murder of his wealthy industrialist father. Billions have been funneled into a secret project that his father’s company has lost control of. A project he desperately needs access to. But when he’s stonewalled by U.K. officials and nearly killed in the U.S., he goes on the attack. Joining forces with MI5, he races across 3 continents, using his old skills in covert operations to uncover the connection between the project in Northern Ireland, a microelectronics company in the U.S and a heavily fortified submarine base in Estonia. The answer is maddeningly close – he just has to find it! With Julie’s help and that of her computer expert father, the pieces start to fall into place until they expose an international conspiracy that threatens the stability of the western world. The action explodes, throwing Thomas and Julie into the path of an unknown enemy with more power and influence than they could ever imagine. An enemy out to destroy them! But who are these ruthless conspirators that wield such unimaginable power? How are they connected to his father? And what dark secrets from the past will Thomas uncover, in his relentless quest for the truth? This “gripping”, “thought-provoking”, “hard to put down novel” by a “master storyteller” keeps you on the edge of your seat and guessing to the very last page! Click here or type in http://smarturl.it/vqh6s9 into your web browser to pick up your copy of The Orange Moon Affair. Here’s your next group of free and discounted Kindle book offers in a variety of genres for Friday: for those books listed as being free or discounted in this post – while the pricing of the free and discounted status is valid at the time of this posting, please make sure you check the pricing carefully before you press the “buy” button as it could revert back to its normal status at any time! 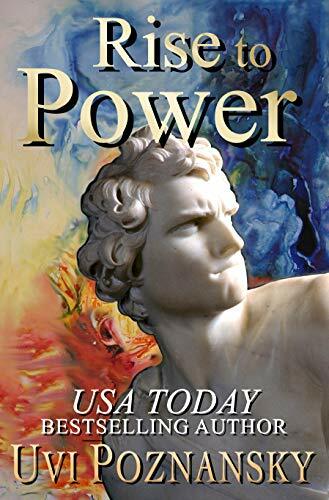 Rise to Power, by Uvi Poznansky, is regularly $5.99 but has been discounted to just 99 cents today in the Amazon Kindle store. This book has received an average user rating of 4.4 out of 5 stars based on 49 customer reviews. Click here or type in http://smarturl.it/13slf9 into your web browser to pick up your copy of Rise to Power. Not Just For Breakfast Anymore, by PV Lundqvist, is regularly $2.99 but has been discounted to just 99 cents today in the Amazon Kindle store. This book has received an average user rating of 4.4 out of 5 stars based on 18 customer reviews. Benny wants a pet—a dog or a cat. You know, the kind of pet everyone else has. But other kids don’t have his mom. She likes to do things differently. So Benny doesn’t know what to expect when he first opens the pet carrier. Certainly not that his neighbors will want to kick is family out of town—he just got here! And he was just about to make the baseball team, too. Will he fight for his pet or back down? 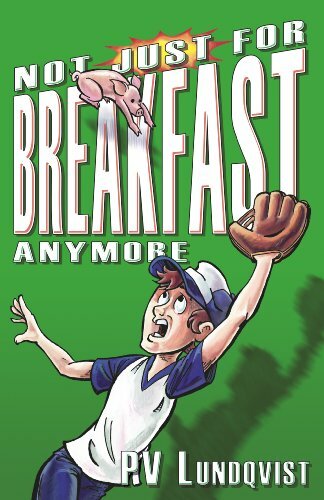 Click here or type in http://smarturl.it/s5xyru into your web browser to pick up your copy of Not Just For Breakfast Anymore. 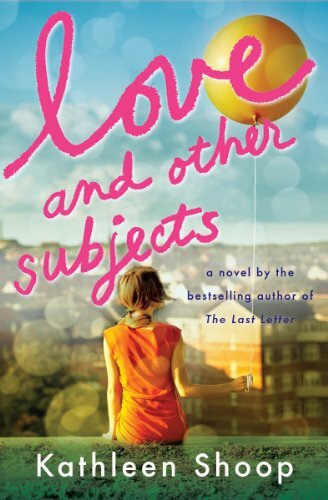 Love and Other Subjects, by Kathleen Shoop, is regularly $2.99 but has been discounted to just 99 cents today in the Amazon Kindle store. This book has received an average user rating of 4.5 out of 5 stars based on 92 customer reviews. Click here or type in http://smarturl.it/0vz3eq into your web browser to pick up your copy of Love and Other Subjects. 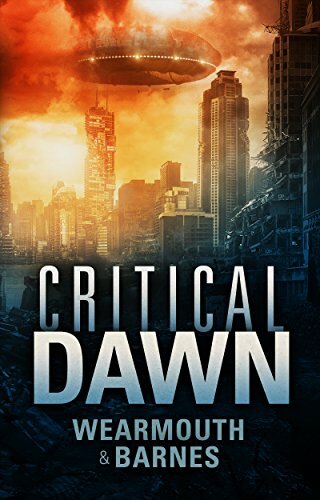 Critical Dawn, by Darren Wearmouth and Colin F. Barnes, is regularly $4.99 but has been discounted to just 99 cents today in the Amazon Kindle store, and this book has received an average user rating of 4.3 out of 5 stars based on 183 customer reviews. From the best-selling authors of First Activation and The Techxorcist Series. Some mysteries should stay buried. Archaeologists Pippa Quinn and Charlie Jackson find advanced technology in undisturbed 16th Century graves. A portent, the discovery precedes thousands of giant sinkholes opening up across the globe as extreme weather threatens the population. Charlie suspects the two are related. Click here or type in http://smarturl.it/hmcb5m into your web browser to pick up your copy of Critical Dawn. 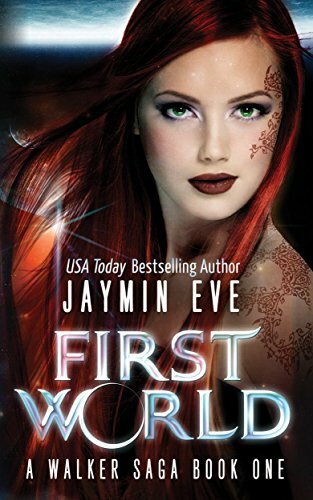 First World – A Walker Saga, by Jaymin Eve, is free today in the Amazon Kindle store, and this book has received an average user rating of 4.7 out of 5 stars based on 58 customer reviews. In fact, sometimes she lives for the fleeting moments she spends at night with the man who fuels every romantic fantasy she’s ever had. But each morning reality returns. She could just cry. But she won’t. Tears don’t change a damn thing. Then without any warning, a month before her eighteenth birthday, everything does change. A guardian finds her. He explains, in a strangely familiar accent, that she was stashed on Earth for safekeeping and has been lost to her family ever since. And it is time to return home. To First World; a land of unimagined beauty. Click here to pick up your copy of First World – A Walker Saga. Dynamite Fishermen, by Preston Fleming, is free today in the Amazon Kindle store, and this book has received an average user rating of 4.4 out of 5 stars based 29 customer reviews. 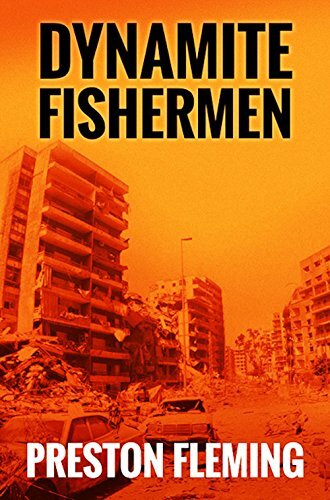 DYNAMITE FISHERMEN offers complex characters, fast-paced action, a vivid portrayal of human intelligence operations and the pungent flavor of Beirut during its dark days of civil upheaval.